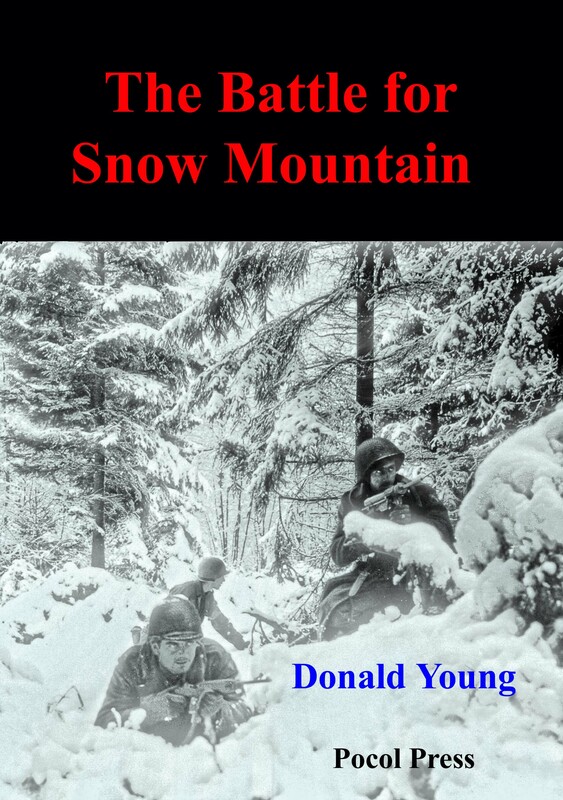 The Battle for Snow Mountain is a comic World War II novel which begins with a surreal picture of The Snow Mountains, during the German breakthrough into the Ardennes in the winter of 1944. Richard thinks their first days at the front make sense. Timmons believes their actions are ridiculous. Because their inept, absurd Captain takes them up the wrong road, the two GIs are captured and sent to a POW camp. General Dwight D. Eisenhower appears throughout the novel, and during the massive German attack, is celebrating his 5th star at a party in Versailles. The two soldiers, during an American air raid, escape from the POW camp to the Russian zone, and then end up in Paris, where Timmons has an amusing afternoon with a French prostitute. Richard receives a letter from his sweetheart Gloria who happens to mention she�s married. After their misadventures Timmons still thinks their war effort made no sense, whereas Richard believes their actions were necessary and meaningful. This book is also available as an ebook on Amazon.com's Kindle Store. Text Of Review: Not since Slaughterhouse Five by Kurt Vonnegut, or Catch-22 by Joseph Heller have I read such a biting satire of military operations that were so FUBAR ("Fouled" Up Beyond All Recognition). If there is anything funny about war, Don Young has something to say about it. It's the story of two G.I. 's, Richard and Timmons, a grimy pair of inept foot sloggers like Bill Mauldin cartoons caught up in the Battle of the Bulge in WWII. They are part of the under-trained, under-equipped, unready and badly led Lions Head Division in 1944. The division was sitting right in the path of the powerful German Volksgrenadiers sneaking up on them for a surprise attack through the Ardennes Forest of captured Belgium. Such an attack was something Supreme Commander "Ike" Eisenhower and other generals considered impossible. "Unlucky" doesn't begin to cover their situation. "We're sitting ducks," one "hero" sums it up accurately. "He heard the sound of wishful thinking" all around him, Young says. It took me awhile to catch on to the humor being caught in a major attack of the war. But war is so awful that all you can do is laugh as this hapless pair of Richard and Timmons bumble and stumble their way into battle and captivity and then out of it again. Once I did catch on, I couldn't stop laughing. Real soldiers who know war will catch Young's many zingers and satire. Every German outpost has a cabin conveniently available for reconnaissance. Every bombed town has a house with three sides gone and the furniture still intact inside. Every letter from home is filled with patriotic platitudes meant to buck up the soldiers' spirits, but actually covering deep fears and personal secrets that will become "Dear John" letters-or worse. Sophisticated readers will enjoy this book. Highly recommended for a good laugh through the dirt smudges and grimy faces of war. I also recommend Young's more serious book on the Battle of the Bulge titled, The Lion's Share.